• At 8:24 a.m. on March 18, a stolen 2018 Ford Focus belonging to a car rental business on Rombach Avenue was recovered and returned. The report indicates two syringes were discovered in the vehicle. 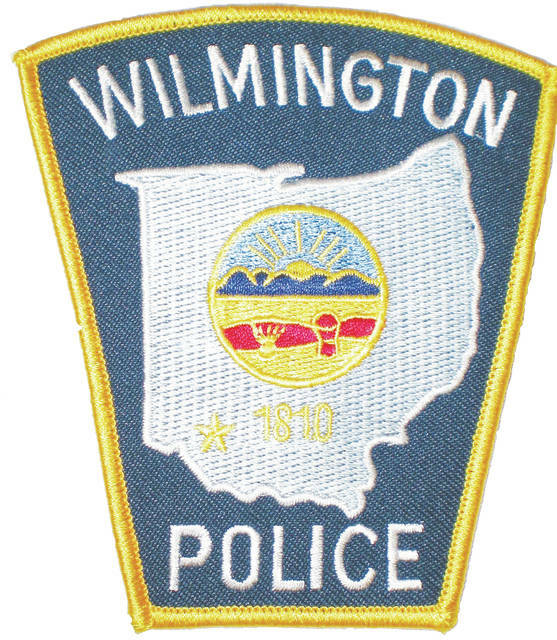 Two Wilmington males, ages 33 and 34, are listed as suspects. • At 5:02 p.m. on March 19, police received a report of several items missing from a shed at an East Short Street residence. According to the report, the lock was apparently cut off and also taken. Items reported stolen included a red Tour de France road bike, a yellow and black DeWalt tool box containing assorted tools, extension cords, two new gardening tool sets in leather pouches, and a black and orange BMX type bike. • Police arrested a 27-year-old male for allegedly violating a protection order, obstructing official business, and resisting arrest after responding to the 1-99 block of Gallup Street at 8:14 p.m. on March 20. According to the report, the suspect led officers on a foot pursuit before being apprehended. • At 1:35 p.m. on March 21, a 44-year-old male reported $600 was missing from his wallet which was in his truck. He advised the only other person who used the truck recently and knew the wallet was there was a 42-year-old male. The suspect denied taking the money and stated the caller left their truck unlocked. No charges were placed on the suspect due to insufficient evidence. • At 4:36 p.m. on March 21, two juvenile males were arrested and charged with alleged theft and obstructing official business after a shoplifting incident at a Progress Way store. Both males were transported to the Greene County Juvenile Detention Center. • Police arrested two females, ages 18 and 42, after responding to a reported shoplifting at a Rombach Avenue store at 6:09 p.m. on March 21. The 18-year-old was charged with alleged menacing and theft, and the 42-year-old was charged with alleged menacing and complicity. A 30-year-old Hillsboro female is listed as the victim. • At noon on March 22, a store on East Main Street called and advised a male with an orange hat came in and concealed a package of cookies and walked out as they were confronting him. Officers were told the suspect has been in daily and believes he has been stealing the cookies each day. • A 52-year-old male is suspected of taking multiple items from the homeless shelter on Gallup Street at 11:48 a.m. on March 22. According to the report, authorities were told the items taken were not items they gave out but were locked up. Officers were told they just wanted their items returned, but if the suspect refused, they wanted them barred from the property. • At 1:03 p.m. on March 22, a 52-year-old male reported his Fender Classic guitar was stolen from his residence at the 100 block of West Sugartree Street. The victim advised he believed it was his girlfriend’s son, a 35-year-old male. According to the report, the guitar was located at a local pawn shop. The girlfriend advised her son admitted to taking the guitar. The victim was unsure if he wished to pursue charges at the time. • At 3:32 p.m. on March 22, a 54-year-old female advised her juvenile son was punched in the face by a 19-year-old male at the high school on Richardson Place. • Police arrested two Sabina subjects — a 34-year-old female and a 23-year-old male — and charged each with one count of alleged theft after responding to a shoplifting report at a Progress Way store at 5:13 p.m. on March 22. According to the report, the stolen items included assorted cosmetic items, wooden letters, and shoelaces, insoles and polish. • At 6:19 p.m. on March 22, a 29-year old male was arrested for alleged domestic violence after police responded to a report of domestic assault at the 1600 block of Lakewood Drive. • A 35-year-old male reported his apartment unit’s electric meter appeared to be stolen at the 400 block of Douglas Street at 8:24 a.m. on March 23. • Police arrested a 32-year-old female for alleged theft after responding to a shoplifting report at 8:49 p.m. on March 23 at a Progress Way store. According to the report, the suspect allegedly stole $39.88 worth of various merchandise. • A 26-year-old male was arrested for alleged persistent disorderly conduct, obstructing official business, and disorderly conduct at an emergency facility after police responded to a reported disorderly subject at the 700 Bernice Street at 1:01 a.m. on March 24. • At 9:27 a.m. on March 24, a 61-year-old female reported her forest green wicker basket was stolen from the front porch of her residence at the 500 block of North South Street. • At 10:46 a.m. on March 24, a 44-year-old male reported assorted painting and drywall tools was stolen from his residence at the 500 block of North Mulberry Street. • At 12:23 p.m. on March 24, a 75-year-old male reported a liquid propane tank from his camper at this residence at the 200 block of North South Street.